In her flat above Drylands' newsagency, Janet Deakin is writing a book for the world's last reader. Little has changed her in 50 years, except for the coming of cable TV. Loneliness is almost a religion, and still everyone knows your business. But the town is being outmanoeuvered by drought and begins to empty, pouring itself out like water into sand. 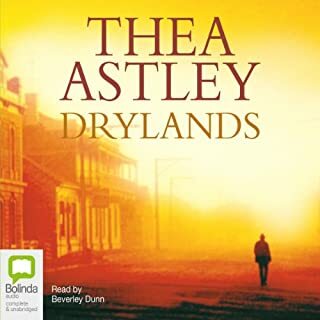 I thoroughly enjoyed Drylands by Thea Astley - it is not so much a novel as a series of interlocking short stories, all centred in and around the small (fictional) Central Qld town of Drylands. There are a few cultured characters (to different degrees) who somehow end up here, mainly women, and interact with the locals, many of whom are hard-drinking, misogynistic, uneducated men. It sounds like a display of elitism, and it is, in a way - but we learn so much through the many and diverse incidents that occur in the book. An aboriginal man, or rather half-aboriginal, is mistreated by his own half-brother who is white, and the town is nearly blown apart when the truth comes to light. A woman has a breakdown after nearly 20 years of marriage to a 'male chauvinist', and goes off to establish a life of her own. Janet the authorial character runs a newsagency in the town, which sells few papers and fewer books - and is held in suspicion as an observer/writer. The reader Beverley Dunn does a superb job of bringing dozens of characters to life, and keeping the story moving, indeed highly suspenseful at times. This is an entertaining audio book, despite the fact that Drylands is dying from drought and lack of imagination before our eyes. Who but Thea Astley could bring this scene to life so vividly? Though I am a worshipping Christian, I seldom read theological books, finding them often heavy-going or abstract. Paul: A Biography is neither of these, but very readable, even suspenseful. 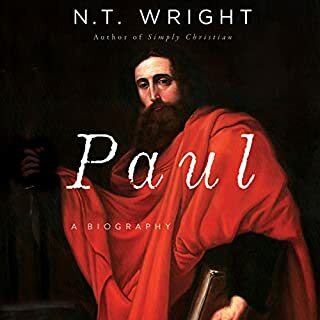 The most interesting aspect of the book for me was the way NT Wright emphasizes Paul's Jewish heritage and continuing adherence to it. He was an incredibly restless man in his determination to visit so many Christian communities, some of them several times - and of course a brilliant writer. I still do not find Paul an attractive figure, but this book brought him alive for a contemporary person. Henry Hallward, editor of the Sydney Chronicle, is a thorn in the side of the colonial administration. Hallward has been imprisoned several times for criminal libel and continues to edit his newspaper while incarcerated. This time, he’s in jail awaiting trial for suggesting that there have been some criminal financial dealings involving the CEO of the Australian Agricultural Company, a consortium of British landowners, some resident in the colony, some not, to whom the British government was giving a million acres of Australian land to develop. 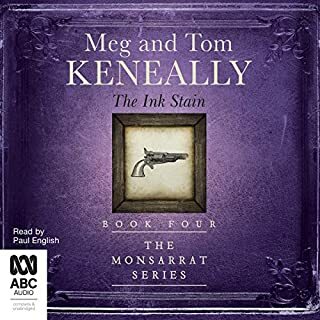 This is the third Monserrat/Mrs Mulrooney book I have read, by Meg and Tom Keneally, and I have thoroughly enjoyed them all. This one shifts the action to the centre of NSW colonial life, Sydney, where we meet the appalling Colonel Duchamps and his sister Henrietta. The combination of Hugh Monserrat and Hannah Mulrooney is an effective and delightful one, though we get a bit much of Mrs Mulrooney's homespun wisdom - and her shortbread. The story is well-told as one would expect from the Keneallys, complete with cliff-hanging chapter endings, villains and sympathetic characters. I look forward to the next audio book featuring the combination - read I hope by the multi-accented Paul English. It was great to have access to David Leeming's biography of James Baldwin. 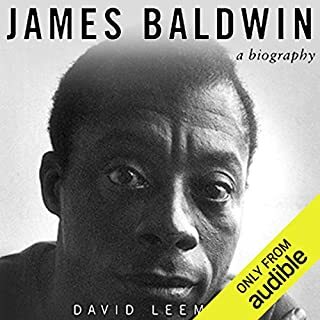 Despite Baldwin's fame, I knew little in detail of his background or life story, and this book has filled in many gaps for me. Leeming knew Baldwin very well, but has the ability to step back and see his flaws, and place him within the movement for black civil rights. I read several of Baldwin's books, way back, and now feel I must go back to read those I have not read, and re-read others. Revealing account of aboriginal achievements. 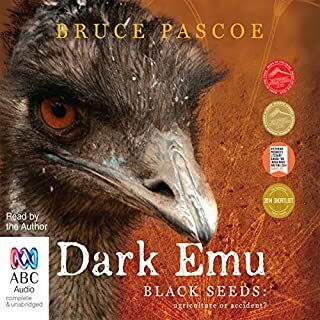 Bruce Pascoe has written a superb account of the achievements of Australian aborigines in the thousands of years before European occupation of this continent. I have heard for years that they were more highly developed than often thought, but this was mostly couched in vague generalities. Pascoe has looked through journals of explorers and early settlers, not to mention evidence from within aboriginal communities, finding many observations confirming that the aborigines were not nomads, but had systems of agriculture, fish trapping and house building. This has been airbrushed out of Australian history, as if it suited European Australians to believe that the aborigines were primitive people, almost 'savages'. Pascoe also reads his book extremely well. We are much in his debt for writing it. 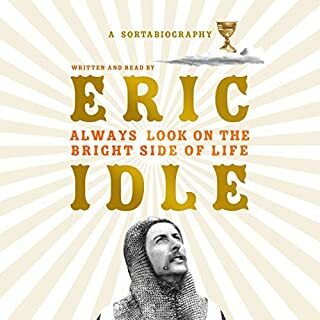 As in many autobiographies and biographies, I found the most interesting parts of Eric Idle's were about the years before he became famous. I had no idea he spent many years in an orphanage, and he describes these with humour and no self-pity. Of the years of his fame, with Monty Python and various projects, he tells us a lot about the celebrities he knew - mostly fascinating - but it's life in the goldfish bowl, as he often says, or words to that effect. Thus it bears some similarity to many other accounts of living in such bowls. I was most impressed by Eric's honesty and generosity, and of course amused by his unique way of telling a story. 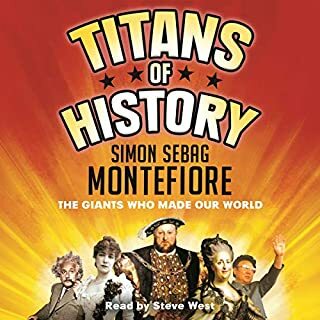 I was amazed by the quantity and quality of the material in this book by S S Montefiore. However, I found that a little of it, or just a few of the short chapters at a time, went a long way. I was disconcerted to hear about Jesus Christ sandwiched between Tiberius and Caligula, and other juxtapositions were just as unlikely. I did finish the book despite temptations to bail out early, and am glad I did. The reader was very good, and the writer is terrific - but it will be a long time before I tackle yet another book by Mr Montefiore. 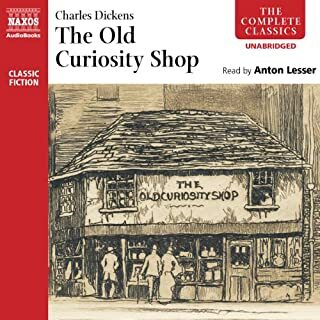 I had never read The Old Curiosity Shop, and thought I would grab the chance of hearing it via an audio book. For the second time I found myself listening to Anton Lesser, and he is one of the best readers I have heard on audio books, bringing the characters to life and moving the story along. Unfortunately I found Dickens' story less than involving. I know his novels are often 'picaresque', ie following a character as they wander around the countryside, into whatever adventures they have. This one takes the picaresque to new extremes - some of the people encountered by Little Nell and her grandfather are frankly uninteresting, and I don't know why Dickens bothered with them. Some of his descriptive writing is superb, however. Kit is an interesting character, though like Nell, a bit too good to be true. And Quilp is surely too bad to be true - the worst of Dickens' monsters, though he has been cut from cardboard. I got very tired of Quilp in his first, very long appearance in the novel, and in the last few chapters of the book, I could not wait for him to die. Nell is definitely too good to be true too - but I do know she is a famous character in literature, and feel glad to have made her acquaintance. On the whole, though, this novel made me feel I had had enough of Dickens for quite a few years (the other novel I have heard is Dombey and Son, which I enjoyed more - also read by Anton Lesser I am sure). On 24 July 2013, Anglican priest Rod Bower put up these words on the roadside sign of his Gosford parish church. Next he posted them on Facebook, sparking a social media revolution. The post was shared thousands of times - suddenly the onetime butcher was on the public stage. Today Fr Rod has close to 65,000 followers on social media. He uses this platform to raise questions about Australia's corporate soul, to assert that we are all brothers and sisters - asylum seekers, Muslims, those identifying as LGBTI, Indigenous Australians.... And for such messages, the death threats pour in. 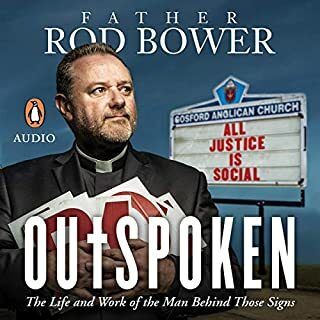 I have always been impressed by Fr Rod Bower, through his media appearances and his eye-catching signs. As an Anglican, I am delighted that we have in our church a man who is not constrained by the politeness and timidity of most priests and bishops. His story is a fascinating one indeed, with perhaps equal amounts of trauma and joyfulness. I believe the book will be widely read and appreciated. I cannot imagine any of his conservative opponents being able to take Fr Bower on with any effectiveness. He takes the wind out of their sails in this book, in so many ways. I very much enjoyed this book and the reading by Eleaner Bron - and I chose this abridged version deliberately, feeling I might not last the 36 hours of a full reading. 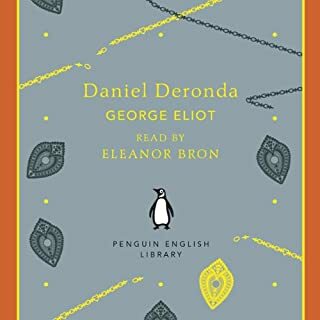 It is a lesser masterpiece by George Eliot, one of my very favourite writers, but in five and a half hours we get the essence of the stories of Gwendolen Harleth and Daniel Deronda. Eleanor Bron was the ideal reader for this Victorian novel, going from the world of the British upper crust to the more hiden Jewish world of Britain and Europe.